On this 5-day course led by Borut, an IFMGA mountain guide, you will learn the basics of rock climbing and visit a different area of Slovenia each day! 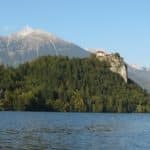 Join me for this 5-day introduction to rock climbing and enjoy a unique experience in the mountains of Slovenia. Our starting point will be the city of Kranj, although we’ll be moving around different climbing areas every day. First, we’ll reach the village of Bohinjska Bela. From there, we’ll head to the Adriatic coast to the village of Črni Kal and then to Turnc, near the capital city of Ljubljana. 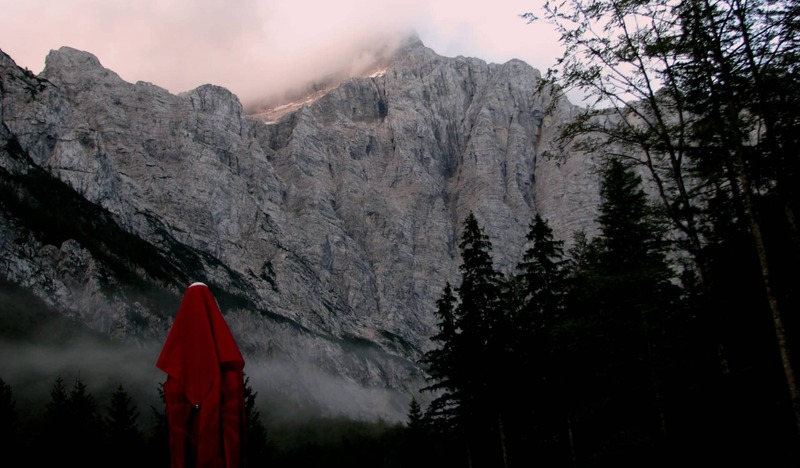 Then we’ll travel to the rock climbing area of Bohinj Belvedere, at the heart of Triglav National Park. Finally, we’ll end our climbing traverse at Dolžanova soteska, in the Karavanke mountains. Besides, some days we will visit Slovenian touristic attractions, like lake Bled, the old city of Piran and Savica waterfall. For further details, you can find a complete itinerary below. I recommend you to book accommodation in Kranj or its surroundings. This city is 10 kilometers away from Jože Pučnik airport. If you want to, I can suggest you some good places to stay. Please, contact me if you’d like to sign up for a rock climbing course in Slovenia. I can answer your questions and help you organize your trip! After taking this course, you can also test your skills on this 1-day rock climbing trip in the north face of Mt Triglav. A village near lake Bled. The first day will be an introduction to basic climbing equipment (harness, helmet, climbing shoes, belay device, rope, chalk bag). After that, we will do some easy climbs. 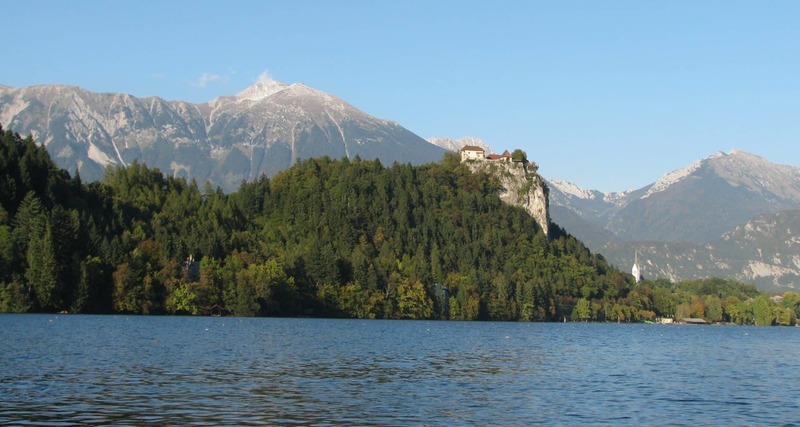 After climbing we will visit lake Bled. In the summer it is possible to swim in it. This is a rock climbing area near the Slovenian Adriatic coast. We will repeat belaying and work on correct climbing techniques (moving). After that, we will do a couple of rock climbing routes. After rock climbing we will visit the Slovenian coast and the beautiful old city of Piran. A rock climbing area near the capital city of Ljubljana. Today we will learn abseil technique and placing removable equipment. After that, we will climb some routes. At the end of the day we will visit the Slovenian capital city, one of the most beautiful capitals in the world. We’ll go down to the old city near Ljubljanica river. A rock climbing area near the biggest Slovenian lake: Bohinj, at the heart of the Triglav National park. 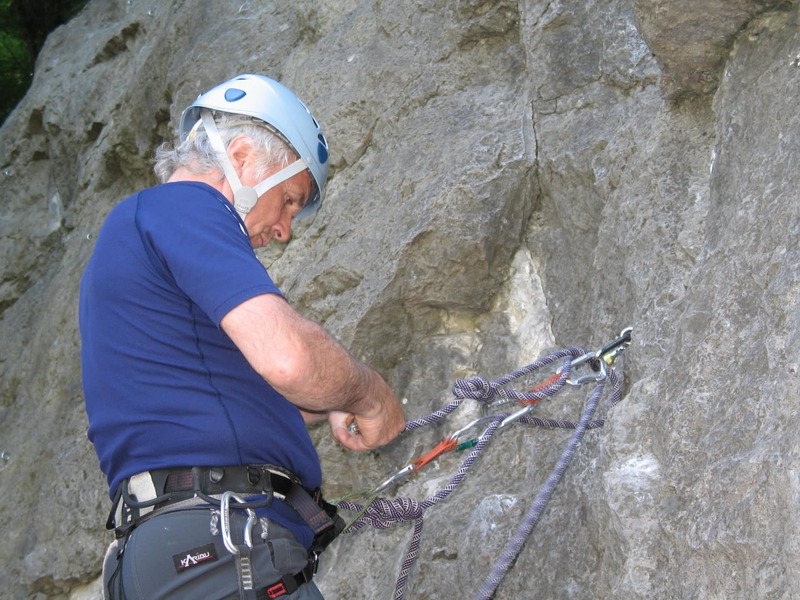 Today we will start with lead climbing belaying and lead climbing (if you are ready). After rock climbing activities we will visit Savica waterfall. There is an entrance fee but it’s not expensive. A rock climbing area under the Karavanke Alps range. Today we have just rock climbing day and if somebody wishes we can do some short multi-pitch. Equipment: you must bring climbing shoes. You can borrow the rest of the equipment here. I was born on 13th of June 1964. 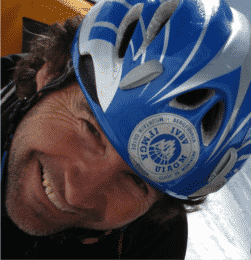 I have been practicing alpine climbing and guiding since 1988. I'm professional mountain guide since 2003, I'm also professional ski instructor and mountain bike guide. I was a member of a Mountain Rescue Association of Slovenia. Through all these years, mountains have become my second home and alpine climbing, with all its varieties, my way of life. Let me list some of my outstanding ascents: climbing to Poincenot (3036 m) in Patagonia, solo first ascent to Artesonraju (6025 m) in Cordillera Blanca, Cerro Plata (6315 m) in Argentina, several routes in Dolomites' walls (Tofana, Tre Cime, Brenta,...). 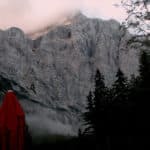 I have climbed almost all of the great classic routes in the local mountains (The Čop Pillar and Skalaška, Aschenbrener route in Travnik,...) and made some winter and summer first ascents. I sport climb up to IX grade. All these experiences together with my international mountain guide license obtained through completing a mountain guide training guarantee that I will safely guide you through local and foreign mountains. I have guiding experience from all around Europe, from Slovenian Alps to Dolomites, Italian, Swiss and French Alps and Kavkaz - Elbrus. I was guiding more than 30 fourthousend meter peaks. I guided Haute routes a few times, Chamonix to Zermatt and also Saas Fee to Zermatt. 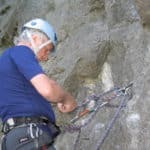 Since 2013, I have been working for the British military (Army, Royal Navy, RAF) in Germany around Oberstdorf as their Rock climbing instructor, Via ferrata instructor, Alpine ski instructor and Ski touring instructor. When I guide clients the most rewarding thing is the smile on their faces when reaching the desired peak and their happiness when we finish the tour.